Soup's on! Not everyone thinks about the packaging for you soup cups - except for Eco-Products. We know that after you are done with all the ladeling, slurping, scaping and contented sighs that goes with a tasty bowl of soup, you don't want the dissapointment of sending your soup lid strait to the landfill. 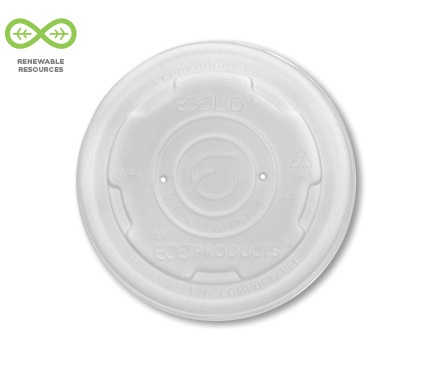 Complete your soup bowl with our renewable and compostable EcoLid® for Soup Containers and get your compost on instead.